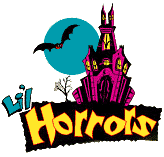 Li'l Horrors is a puppet sitcom set in a spooky old house owned by Morbidda Bates, a retired horror movie actress. The series follows the misadventures of the Li'l Horrors as they squabble, tease and laugh, and generally have a monster of a time. 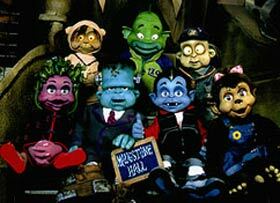 In many ways, it is really just your average school for Li'l Horrors. It is classsy and comical and packed with monsterly fun.